Update: We have more information on the source of the bug. In our Sandy Bridge review I pointed out that Intel was unfortunately very conservative in one area of the platform: its chipset. Although the 6-series chipset finally brought native 6Gbps SATA to Intel platforms it failed to fix issues with 23.976 fps video playback. Intel also failed to deliver a chipset that can support SNB's processor graphics as well as overclocking. Today, things just got even more disappointing. Intel just announced that it has identified a bug in the 6-series chipset, specifically in its SATA controller. 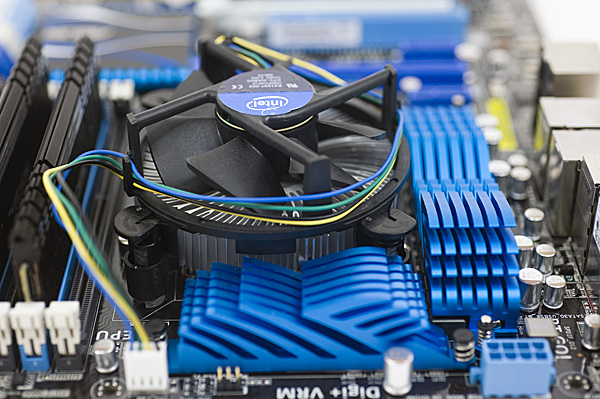 Intel states that "In some cases, the Serial-ATA (SATA) ports within the chipsets may degrade over time, potentially impacting the performance or functionality of SATA-linked devices such as hard disk drives and DVD-drives.". The fix requires new hardware, which means you will have to exchange your motherboard for a new one. Intel hasn't posted any instructions on how the recall will be handled other than to contact Intel via its support page or contact the manufacturer of your hardware directly. In speaking with motherboard manufacturers it seems they are as surprised by this as I am. Intel will begin shipping the fixed version of the chipset in late February. The recall will reduce Intel's revenue by around $300 million and cost around $700 million to completely repair and replace affected systems. Intel has been testing its 6-series chipset for months now. The chipset passed all of its internal qualification tests as well as all of the OEM qualification tests. These are the same tests that all Intel chipsets must go through, testing things like functionality, reliability and behavior at various conditions (high temps, load temps, high voltage, low voltage, etc...). The chipset made it through all of these tests just fine. There are two general types of problems you run into in chip manufacturing. The first is an engineering oversight: functional problems that will cause a failure during your validation tests. You get these from not giving your engineers enough sleep and they design a circuit that logically or functionally has a problem in it. These were the type of errors that resulted in NVIDIA’s Fermi delay for example. The second type of problem is more annoying, it’s a bug of a statistical nature. In these situations the problem doesn’t appear on every chip in every situation, but on every nth chip out of every n x somereallybignumber chips. When a bug doesn’t present itself in small quantities, it’s very difficult to track down. This is the nature of the 6-series chipset bug and it’s also why the problem didn’t appear sooner. Intel mentioned that after it had built over 100,000 chipsets it started to get some complaints from its customers about failures. Early last week Intel duplicated and confirmed the failure in house. Intel put together a team of engineers to discover the source of the problem. Based on the timeline it looks like it took them a couple of days to figure it out. Intel then spent a few more days trying to understand the implications of the issue. Finally, late last night, Intel decided the only course of action would be a recall and it halted production of its 6-series chipsets. Recalls are never fun to do. If you don’t have a replacement product in the market it means that your sales come to a halt. You also have to deal with actually recalling all of the faulty hardware, which costs a lot of money. Intel expects it’ll cost $700M to actually recall and fix hardware in the market today and another $300M of lost revenue for the chipset business while this is all happening. Altogether we’re talking about a billion dollar penalty. It’s like Intel’s version of the RRoD [Ed: Microsoft's Xbox 360 Red Ring of Death], but without the years of denial. I asked Intel how we’d know if we had a failure on our hands. The symptoms are pretty simple to check for. Intel says you’d see an increase in bit error rates on a SATA link over time. Transfers will retry if there is an error but eventually, if the error rate is high enough, you’ll see reduced performance as the controller spends more time retrying than it does sending actual data. Ultimately you could see a full disconnect - your SATA drive(s) would not longer be visible at POST or you’d see a drive letter disappear in Windows. 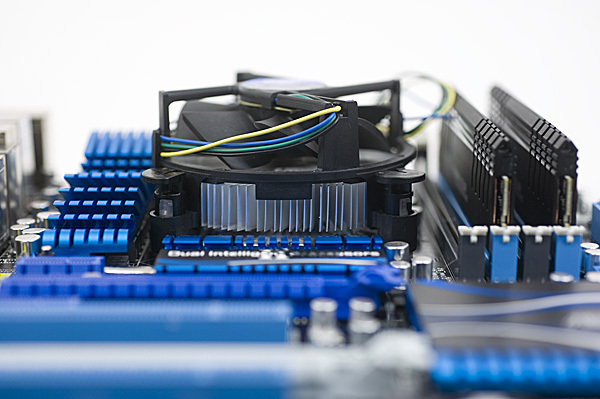 Intel's DP67BG—The blue SATA ports on the right are 6Gbps, the black ones are 3Gbps. The Blue ports are unaffected by the bug. 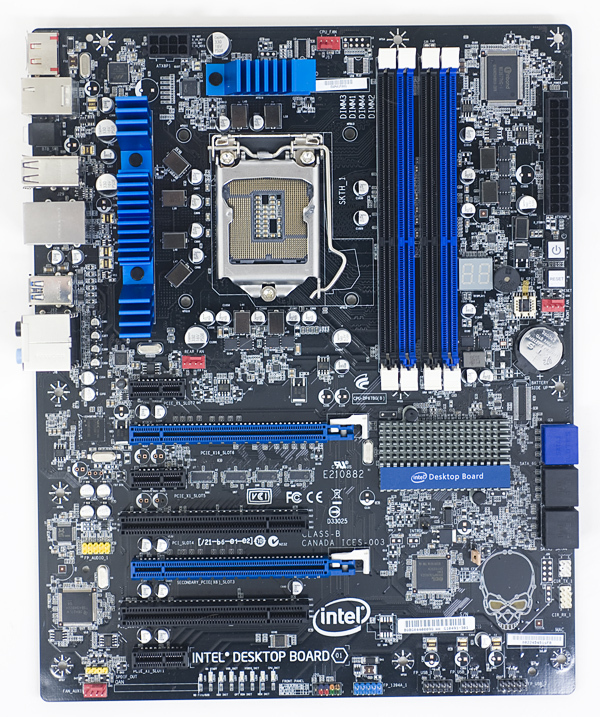 If you’re a current Sandy Bridge user and want to be sure you don’t have any problems until you can get replacement hardware, stick to using the 6Gbps ports on your board (which should be the first two ports). The SATA bug exists in hardware and there’s no way to provide a driver or firmware update that can fix it. The fix requires a metal layer change, which will result in a new hardware stepping (resulting in the ~3 week delay before replacement hardware is ready). What About Current Sandy Bridge Owners? Given the timeline of discovery, Intel didn’t delay getting around to actually letting its partners know about the problem. On the bright side that means Intel and its partners weren’t plotting against its end users to sweep this under the rug. On the down side, OEMs and motherboard manufacturers can’t be happy about this - they woke up to news of the recall at the same time you and I did. Intel is starting to have discussions with OEMs today (yep, you read that right) on how to handle the recall and when fixed hardware will be available. This is the reason why there’s currently no official, public recall plan in place. In the coming weeks I expect this to get ironed out but for now the best advice I can give existing SNB owners is to use their 6Gbps ports and wait. Update: Intel informs me that it was legally bound to make the recall disclosure public before informing its OEM customers in this case. This is apparently a regulatory requirement. I asked Intel if 6-series derivative chipsets were affected by the problem, specifically the Z68 chipset. While all 6-series chipsets are exposed to the issue, the launch schedule for all future derivates remains unaffected. Z68 will continue to launch somewhere in Q2 2011. I would expect to see motherboards around April. At CES I spoke with Intel at length about the frustrating nature of the P67/H67 feature segmentation. The fact that there's no chipset that will let you use Intel's processor graphics and overclock your CPU is a major oversight. Intel's Z68 chipset will address this shortcoming, as well as add additional features (e.g. SSD caching) that are exclusive to Z68. I am disappointed that Intel wasn't better prepared on the chipset side at the SNB launch and today's announcement is icing on the cake. If you're going to have to wait to buy anyway I would recommend waiting until Z68 motherboards hit the market. For existing owners, I would hope that Intel and the motherboard manufacturers might offer some sort of a trade-up or trade-in program to move to Z68 since you're going to have to replace your motherboard anyway. Have you noticed a lack of dual-core Sandy Bridge based notebooks on the market? Intel wanted to but couldn’t launch every last SNB SKU at the same time, so the dual-core notebooks got pushed out until mid-to-late February. Unfortunately, that was pre-bug. With this latest delay you shouldn’t expect dual-core SNB notebooks until a few weeks after their original launch date, at the earliest. If we assume fixed chipsets are available in the last week of February, they can be put into systems the first week of March. Then expect at least a week of testing and validation if not more. Add another week to ramp up production and we’re looking at late March or early April for dual-core SNB notebooks. Those of you waiting on Apple’s updated MacBook Pros fall into this category. I’d say April is a safe bet if you’re waiting on an upgrade.